Sze Kiu and I had never been to Kingston before, and on this bank holiday Monday we decided to visit Kingston and walk eastwards to finish off at Kew Bridge. From the Kingston train station, we made our way to the river. After a nice lunch in one of the new riverside restaurants, we started our walk. The Path soon turned pretty quiet as it headed north away from Kingston. Soon, we got to Teddington. 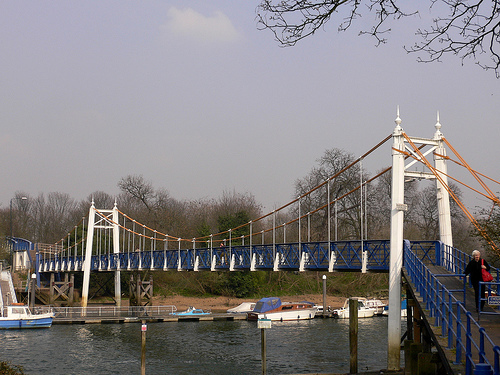 Teddington Lock is the start of the tidal Thames (towards London). Here the management of the Thames, which is generally handled by the Environment Agency, becomes the responsibility of the Port of London Authority. Further along, we passed Twickenham and Eel Pie Island. Back in the 60s and 70s, Eel Pie Island was a place of hedonism, frequented by rock musicians including the Stones and the Who. Today it is still a famous artist enclave. Beyond Ham House (with Marble Hill on the opposite bank), the Path became busy again, as it led us towards Richmond. The walk along the Old Deer Park was pleasant. Across the river, one could see the church and the Pavilion of Isleworth. 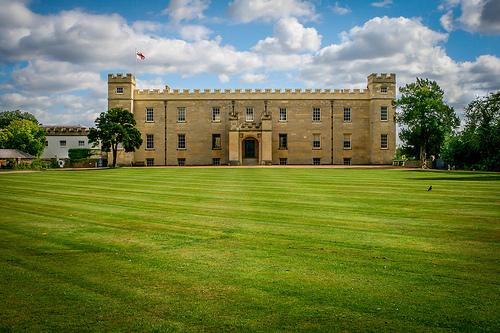 Slightly set back from the river, the magnificent Syon House, home of the Duke of Northumberland, once commanded the Thames. We soon reached Brentford where River Brent, otherwise known as the Grand Union Canal, joined the Thames. From there, we wandered down the side of Kew Garden to reach Kew Bridge to take the train home.